Thanks to Jennifer Brooke at the Business Centre Association for the following article on utilising flexible storage space. The flexible workspace sector is enriched with enormous choice and diversity. The industry has grown considerably from its early days as a handful of business centres back in the 1980s, and now counts all manners of workspace options within its remit. The sector doesn’t just offer space for different purposes – such as office, virtual, manufacturing and light industrial space – it also provides remarkable depth. Functional and budget-friendly, short-term and fuss-free, highly corporate, or tech savvy with all the latest bells and whistles – it’s all here. One particular element that’s developing at pace is that of flexible storage space, and within this sector the storage solutions available go far beyond that of a simple holding facility. 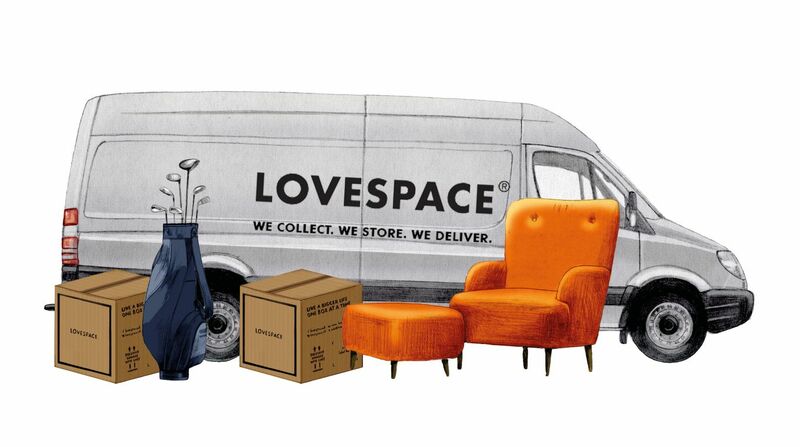 LOVESPACE, a BCA trade supplier, is a flexible storage service with a difference. While its purpose revolves around storage, its service goes much further. Founded by Brett Akker, who previously founded Streetcar, LOVESPACE focuses on offering a 21st century consumer approach with online ordering and management, along with a straightforward price-per-box model that keeps things simple. For any workspace operator – office, coworking, industrial or otherwise – space comes at a premium. Especially in highly competitive city centre locations. Storing items within your location is an expensive waste of space which could otherwise be utilised for your clients’ benefit, such as extra desk space, a break-out area, hot-desking zone or even a meeting room. One of the key benefits of the LOVESPACE model is its affordability. It’s based on a low cost-per-box storage strategy which enables workspace operators to free up space and avoid paying high premiums for traditional, non-flexible storage solutions which are usually oversized and inconvenient. Furthermore, LOVESPACE offers a time-saving delivery and collection service which means no-one needs to leave the office. Expanding or high-growth businesses may be using their workspace area to store items, particularly if they have recently upsized or relocated from another location. This is both costly and inconvenient. Workspace operators can add value to their service by offering a similarly flexible storage solution via LOVESPACE, which starts from just 1 box and comes with no minimum contract length. LOVESPACE has recently launched a new website which, much like the flexible workspace sector, places the emphasis on simplicity and flexibility. See how their 21st century approach could add enormous value to your service, or simply help you win back some space.